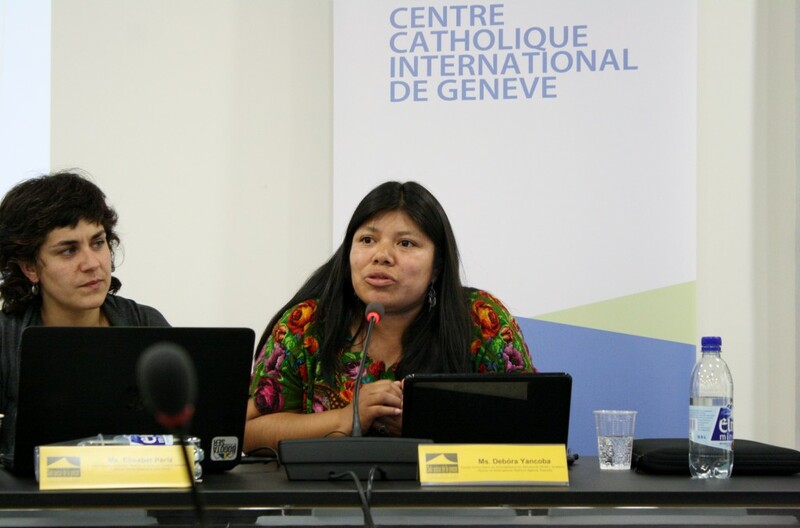 The event was the result of a collaboration between CCIG and several of its members and partners, namely, Franciscans International, Dominicans for Justice and Peace, Fastenopfer, and International Platform Against Impunity. FIAN International, CIDSE, Act Alliance, Caritas Internationalis, and the Lutheran World Federation co-sponsored the conference. The event comes after similar events organized by CCIG in May and December of 2014, as an ongoing effort to bring together CCIG partners to reflect on progress made in holding TNCs accountable for human rights abuses and to exchange perspectives on common challenges yet to surmount. 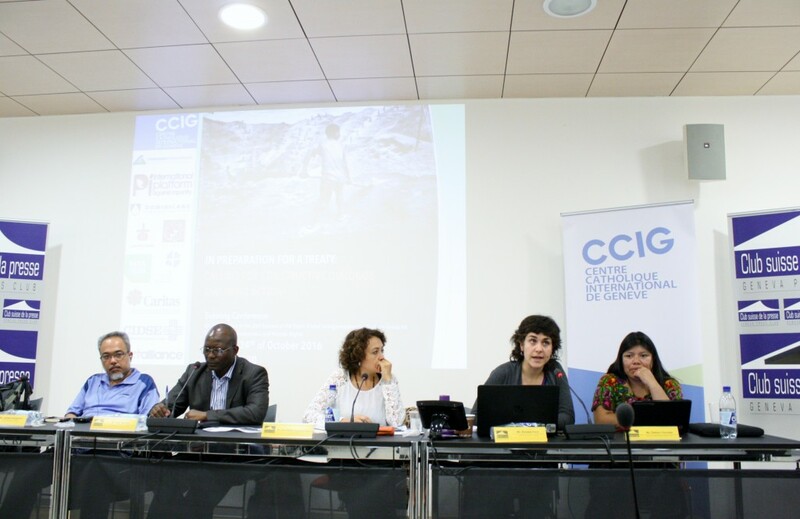 for Natural Resources in the Democratic Republic of Congo, Ms. Elisabet Períz of the organization Tierra Digna, based in Columbia, and finally Ms. Debóra Yancoba of Equipo Comunitario de Acompañamiento Psicosocial (ECAP) in Guatemala. Dr. Ana Maria Suarez-Franco of FIAN International moderated an interactive dialogue between the panelists. The panel shed light on common abuses of TNCs, the power imbalance of indigenous communities and TNCs, and finally, strategies for communities to seek justice. The discussion concluded with a rumination on what impact an international treaty on the matter could have on the ground, and what elements it should include in order to maximize the protection of communities, the transparency of TNCs, and equal access to judicial measures. To view the press release in English and Spanish, click here. To watch a video of the conference, click here. 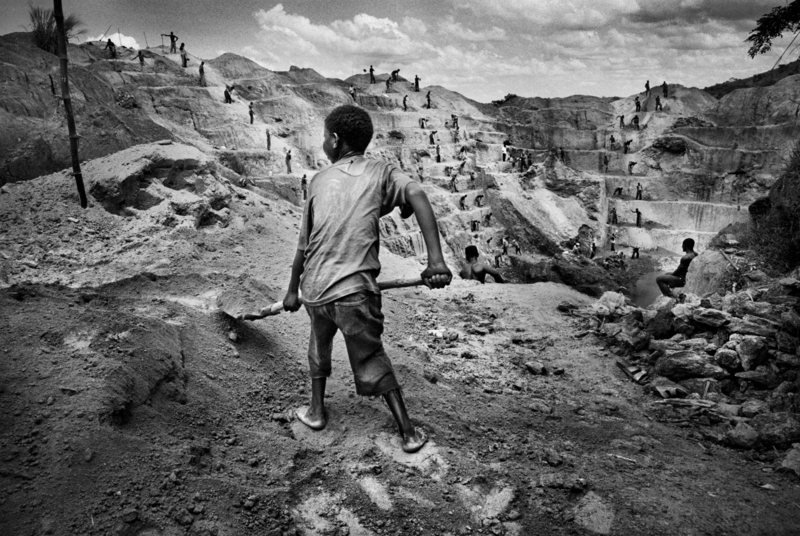 No Comments to "In Preparation for a Treaty: CCIG Hosts Conference on Human Rights Abuses by Transnational Corporations"